Who else is better to talk about foreign relations of India than former Ambassadors? What if 33 former Ambassadors come together and jointly write a book? The end product is the rightly named “India and the World – Through the eyes of Indian Diplomats”. This book fills the lacunae of authentic information about International relations with respect to the Indian public. Indeed, this a unique treasure for all those who love International affairs. Clear IAS Team has no doubt to add this book to the recommended list of books for UPSC exam preparation. 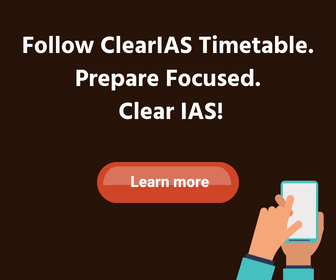 The book has a lot of essays and analysis, from the experts in the field which can provide valuable insights for UPSC Mains exam and Interview preparation. When the Generals fail, Diplomats step in! Diplomacy is not a resort of the weak. Diplomats know the strength and weakness of nations, and despite small in numbers, Indian Foreign Service(IFS) has been hitting above its weight for decades and doing an excellent job of serving India’s national interests in a transformed world. This book is a unique treasure of thoughts and ideas of 33 Indian diplomats who have collectively put in more than 1150 years in Indian foreign service, representing three generations – those who joined in 1950s, in the 1960s and the 1970s. 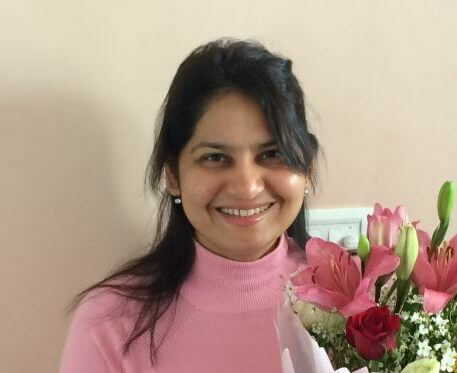 What’s special with the book “India and the World”? Apart from being a multi-author book – 33 authors, who were ambassadors – the difference lies in the presentation. There are 33 essays, each dealing with many sub-topics and issues. Despite being scholarly, none of the essays are beyond the grasp of general readers. In fact, all of the essays generate curiosity and interest among readers on contemporary international affairs. The 33 essays can perhaps be classified under 3 categories – Narrative; Analytical; and Argumented. India’s relations with different countries and regions. Whether it’s hard power or the soft power or the soul power that serves national interests best? Whether the days of quiet diplomacy are numbered? Reflections and reminiscences of the roller coaster journey of diplomatic career. The book performs detailed analysis on different countries and regions. Each chapter is handled by an Ambassador with knowledge and experience on the same. The following countries are dealt in the section ‘India and the neighbours’. Addressing on the occasion, the Vice President said that the book “India and the World” is very rightly described as a Bouquet of 33 Flowers as it is a fair description of experiences of 33 distinguished diplomats in a book. “India and the World” is a hugely informative volume which offers diverse views on so many issues confronting the world today. We hope it will interest serious students of international relations as well as general readers. 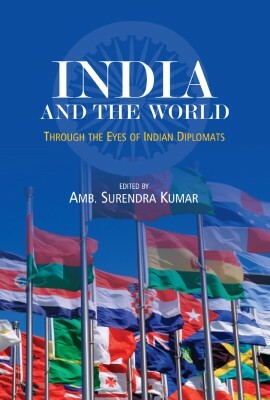 India and the World – Through the Eyes of Indian Diplomats: Edited by Amb. Surendra Kumar (Wisdom Tree, 4779/23, Ansari Road, Daryaganj, New Delhi-110002) is available for purchase at discounted price in online bookstores like Flipkart or Amazon. Click to buy the book ‘India and the World’ – from Amazon.in. Click to buy the book ‘India and the World’ – from Flipkart.com. A historian by education, a poet and a rebel at heart, Surendra Kumar is an unconventional diplomat, he calls a spade a spade without any diplomatic dilemma. He plays with a straight bat and considers ability to make friends even in a hostile environment as a valuable asset for a practitioner of diplomacy. He was India’s ambassador to Mozambique during the civil war and to Libya during Col Qaddafi’s regime under UN / US sanctions. He also served as high commissioner to Kenya and permanent representative to UNEP and UN-HABITAT. Earlier, he was minister at the high commission of India, London and consul general in Chicago. He retired as the dean, foreign service institute / secretary MEA in 2008. He has six books to his credit and frequently writes about political, social and international developments and comments on television. He founded Indo – American friendship association, New Delhi in 2010.